Fantastic!, February 28, 2013 By Reiser This review is from: The Bridge (Para-Earth Series) (Kindle Edition) The Bridge was a fantastic story that completely sucked me in. The characters were great, with witty banter that had me cracking up. You will not be able to put this down! This story takes a charming English psychic into a dark, mysterious, and evil world. Twists and turns will have you thinking, "did that really just happen?" Wonderful story reminiscent of my Dean Koontz days. I will be watching for more from this author. 'So is St. Peter,' Alex muttered turning and heading towards what he hoped would not be a last meal." This book was given to me for free in exchange for an honest review. Another 5 STAR Review for "THE BRIDGE"
that there are a few spelling and grammatical errors, and a few places where the sentence structure could use a little bit more editing/proofreading. However, this was not bad enough to cause any problems with reading through those areas. The last 7 days have kept me busy. I mean REALLY busy. And the sad thing about it all is that some of this could have been avoided....up to a point. Now I'm talking about re-editing my first novel AFTER it had already come out. Why would I do that? Because in spite of the combined efforts of myself and 2-3 other people checking the novel over for grammatical errors, a number of them got past all of us. From day one, I was determined to try and put out as good a product as I possibly could. And when I found out I'd failed, I felt obligated to go back and fix things. 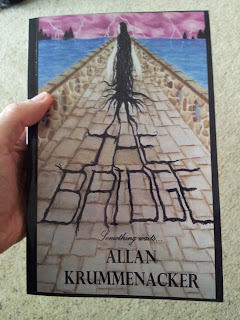 Signed 1st Edition Copies of "THE BRIDGE"
Okay folks I have 25 first edition prints of my novel "The Bridge". I just finished creating a 2nd edition. What's the difference between 1st and 2nd? There were errors that got past me and my helpers in the 1st edition. This is the same version that had earned me 4 and 5 star reviews. (it would have been more 5 star ones if it hadn't been for the errors, people even said so in their reviews). I found out about the errors after I placed the order. So there are only 25 of them in existence and they were the first ones ever printed, which is why I'm referring to them as 1st edition. I tried to correct as many of the errors as possible for the 2nd edition. Anyone interested in the 1st edition copies, let me know. I will personalize them as well as sign them for those who wish it. The price will be $15.00 plus $3.00 shipping. I have a special treat for you all today. I have a guest blogger today. I've been wanting to do this for some time. I know you're familiar with some of MY views and ideas, but I wanted to give you some points of view on writing from other authors. 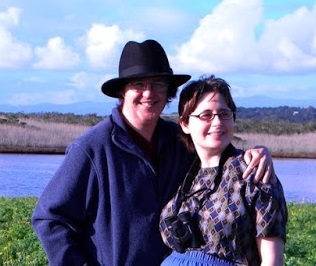 So please help me welcome the author of the novel "Gothic" Nicole Field! Hey all! I'm Nicole, I'm from Melbourne, Australia, and at the moment, I'm busily writing a paranormal romance / urban fantasy series starting with the title Gothic. Allan has kindly invited me here today to talk about my thoughts on plot and character creation. Lucky for me, I have many ideas on both of those things! MY FIRST 5 STAR REVIEW!!! I'm so excited, the reviewer described it as 'Unique' (in a really good way). Check it out at the link below. PLUS... I got contacted by a second radio station who wants to interview me about my book. 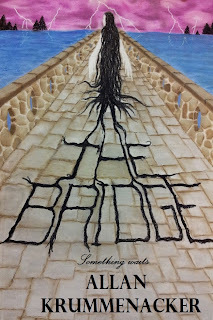 Got another 4 star review on "The Bridge" which you can see at the link below. And she is completely right about there being grammatical errors in the version she read. She unfortunately got one of the not completely edited copies, for which I profusely apologize. Rest assured The editions here on Amazon and on Smashwords have been edited and corrected, as I am determined to deliver a good product. Ordered some printed copies of my debut novel "The Bridge". Planning to offer sign and personalize them to those who are interested in buying one. I'll give more details shortly. Stay tuned.